Apart from my immense gratitude to the Lord, I can’t fully express how thankful I am for my wife, Ashley, who has been an incredible strength, a source of wisdom and a champion for needful rest. When we moved to Greenville, we left our church and community of 8 years to start over completely, and she has been so amazing. Thank you to Bishop Steve, John+ & Kathy Hall and this diocese for believing in us to come and try a relaunch of Village Church. Thanks also to +David and +Thad for serving me and the Village so well since you came on board. Thanks to Chip+ and everyone in my Simeon Cohort for expanding my imagination for ministry as an Anglican and for the much needed fellowship during the rigors of planting. Lastly, we are so deeply indebted to the first brave 18 people, some of whom are here today, who could see this church before we even began. I want to tell you just a little about the congregation and community I am so blessed to serve and you’re receiving today. After 5 months meeting in our home and 2 years in a mustard yellow elementary school cafeteria with a funky smell, we were able to buy the 100-year old Bethel United Methodist. The timing and the price were nothing short of a miracle. 2 years after moving, we’re now a congregation of over 160 adults and 95 children, half of whom are under the age of 5. It’s always an adventure! I’m often asked about our name, which is admittedly not very Anglican-sounding. The westside of downtown Greenville is made up of 7 contiguous mill villages. So, we stuck with the name to convey our commitment to being engaged in these villages and especially in our own, Sans Souci. One of our earliest village-facing efforts started with two of our members repairing or finding used bikes for their low-income neighbors. That eventually became Village Wrench, which now has a standalone repair shop, a full-time director (who is also our youth coordinator) and serves hundreds of people in our city through 5 city-wide repair events on the first Saturday of every month. People of all ages can earn a bike by serving their own neighbors. In 2016, Village Wrench launched 6-Cycle, a six-week teen program of bicycle and character building teaching traits such as grit, self-control, gratitude, and curiosity. The kids take home the bike they build, plus a helmet and lock. It’s been an opportunity for Gospel relationships and for encouraging growth and dignity in teens who come from very discouraging and limiting home and parental situations. Village Wrench has also become a great intersection for unbelievers to join in our mission and work alongside believers who live out the Gospel in friendship and partnership. In terms of our worship, a significant majority of our congregation don’t come from a liturgical background. We’ve been worshipping with the ACNA Ancient Text for nearly 2 years, which you probably know is the 1662 with modern language, and have welcomed people from so many backgrounds. I say that to encourage church planters and existing churches alike. We have a really good and life-giving thing in our worship tradition, so be encouraged to live into that distinctive unapologetically. I really do believe the ancient way is the way forward. Since we began, liturgy and sacramental worship have been real instruments of the Spirit’s work of renewal. I’d even say it has been a healing balm for many of our folks, who were unchurched, dechurched or nominal in their faith. Many have come to us sojourning for a long time after leaving fundamentalism and have found a home in a fellowship of grace. They’ve recovered their works as rooted in reciprocal love, not law. Please pray for us – That we will be faithful and wise in days ahead. We’re hiring new staff and clergy this summer and we’re constantly renovating our building, having spent over $80,000 bringing the beautiful, but quirky old lady up to our needs. A church with a lot of young families is high vision, but low margin – and there is much to do. An important area of discipleship for these younger generations is rejecting financial scarcity and growing in Gospel generosity. Also pray for us in our partnership with Greenville County Schools to become a summer feeding site for 42 children in the apartments directly next to us who otherwise do not eat well during the summer. Lastly, pray for us as that the work of mending hearts and lives through the Gospel will remain our priority and we’ll be undeterred by the fiery darts of our Enemy, who stands condemned. We love being a part of this broader fellowship. You are on our hearts and on our lips as we pray through the cycle of prayer for this diocese each Sunday. The Lord bless you. We love you. We look forward to being a resource to you as you have been to us. Thank you for helping us these 5 years to become what we are today and for receiving us as a parish. Thank you to Filmore and All Saints, Thank you David, Thad, Terrell, Thank you Maddy, Thank you Phillip Clark – Dio Chancellor, Thank you for your prayers for St. Andrew’s Church. We have seen God at work in all. 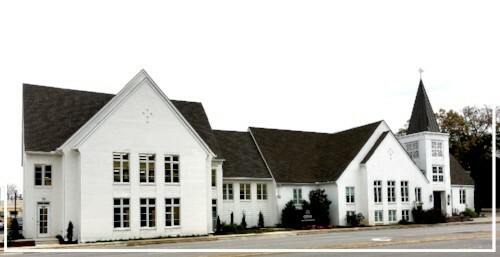 The Anglican Diocese of the Carolinas exists to equip clergy and congregations to fulfill the Great Commandments (Mk.12:29-31) and the Great Commission (Mt.28:19-20) by leading people into a growing relationship with Jesus Christ through evangelism, personal discipleship, and the nurturing and planting of congregations. We have an opportunity in ACNA – The average congregation in ACNA is less than 100. Our diocese has huge leadership development possibilities with the Simeon Fellowship led by Dean Chip Edgar and Ridley Institute led by Randy Forester. In ACNA, Andrew Williams is being consecrated in New England today. Succeeding +Bill Murdoch. There will be a season of leadership transitions in ACNA as many current Bishops are nearing retirement. Today in our diocese we are admitting Village Church of Greenville, SC as a parish. 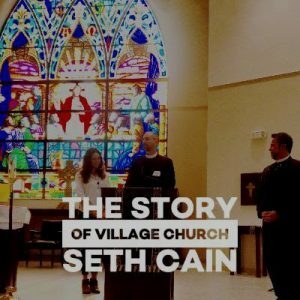 Seth Cain+ and his wife Ashley have led well and we are thankful for them. We welcome the new people that are apart of the diocese include Lucy Albert, Church of the Good Shepherd – Deacon, Kyle Holtzhower, St. Andrew’s – Priesthood, Caleb Burr, Holy Trinity Church – Priesthood, Phillip Wilson, St. Andrew’s – Priesthood, Dave Libbon, St. Andrew’s – Priesthood, Ben Snyder, Wilmore Anglican – Priesthood, Jordan Kologe, Church of the Good Shepherd – Priesthood, Jeremy Roseman, Resurrection Anglican – Transitional Diaconate, Chase Edgar, St. Paul’s Church – Transitional Diaconate. 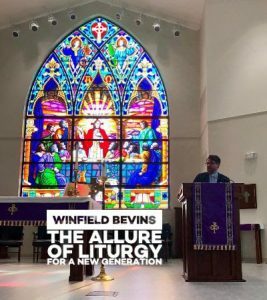 Those transferred into ADOC: Joel Pinson, King of Kings – Rector, Wright Wall, Holy Trinity Church – Clergy Associate for evangelism and equipping. We now have connections to College Ministry in the Carolinas. Madison Perry is at the North Carolina Study Center at UNC and Justin Hare and Jonathan Furst are associated with the Coalition for Christian Outreach (CCO) @ Clemson University and University of South Carolina. The particular work of the Task Force is to identify the ways in which women, both lay and ordained, might exercise roles of service and leadership within the diocese, and in local churches, and make recommendations for how to support them in carrying out the priesthood of all believers. · What is the definition of ministry? · What roles have been assumed to be male-only? · What opportunities have not been open to women? · What can we do practically to fulfill the commitment made by the College of Bishops? · What can a church do to encourage women in ministry? · What pathways need to be in place for women to obtain credentials and training? · How best to recruit and mentor women for ministry in the church? · What materials need to be developed so that the recommendations of the Task Force can be implemented in a small, medium, and large church? To do this work I propose the following men and women to serve on the Task Force: The Rev. Lucy Albert, Executive Assistant, Good Shepherd Anglican Church, Davidson, NC, The Rev. Gary Ball, Rector, Redeemer, Asheville, NC, The Rev. John Hall, Senior Pastor, Christ the Redeemer, Clemson, SC, The Rev. Virginia Mussellmann, Deacon, Church of the Holy Cross, Raleigh NC, Mrs. Van Weston, former staff member Christ Church, Murrells Inlet, SC, The Rev. Joshua Yoder, Rector, Christ Church, Washington, NC. The Anglican Diocese of the Carolinas will begin a Build Together Campaign. 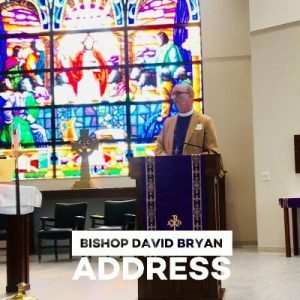 Build Together is an annual diocesan campaign to help churches of the Diocese of the Carolinas that are making the critical transition into their initial permanent location/building. One Sunday a year would be designated as “Build Together Sunday” and churches would share information (inserts, slides, videos) provided by the diocese with their congregations and receive designated gifts/pledges that Sunday. The Standing Committee of the Diocese would oversee the development of criteria, administration and distribution of these funds to churches who make appropriate an application and request. 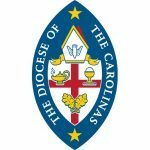 We are now stronger together in the Diocese of the Carolinas and this is a tangible and very strategic way we can advance the kingdom of God in the Carolinas. It is so good to be together as a diocese… to worship together, to be encouraged by one another, to grow together in our common vocation of proclaiming the riches of God’s grace in Christ Jesus to every man, women and child in the communities God has placed us. 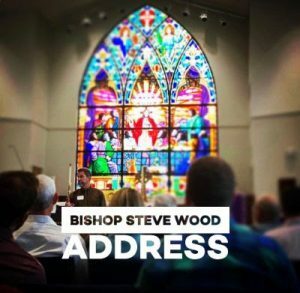 It continues to be a privilege for me to serve alongside Bishop Steve, as well as Bishops’ Thad and Terrell, and all of our rectors, clergy and congregations in the Carolinas. One of the distinct privileges of traveling the diocese is seeing all the ways God is at work in our parishes…seeing the dedication, the creativity and the passion for the Gospel in the local churches that make up our diocese. Our shared conviction is that local church is the frontline of mission and ministry and that the diocese exists to multiply (plant churches) and to serve and enrich the life of our congregations (not the other way around). On another front, we have just begun a new Simeon Cohort at Apostles in Columbia which Chip Edgar and I lead and facilitate. This, along with the Fellows program at Holy Trinity, Raleigh and the Ridley Institute, the Asbury/Wilmore Anglican connection and other initiatives around our diocese highlight the importance of next generation leadership development. One critical aspect of our diocese is helping our congregations in transition and the calling of new rectors. This past year we did this at King of Kings in Charlotte and we are currently doing this with Holy Trinity, North Augusta and Christ Church, Murrells Inlet. Eric Speece did a fabulous job as Interim Rector at King of Kings prior to Joel Pinson’s arrival as their new rector and Thad Barnum is interim at Christ Church and is ‘rocking the house’ in a great way in Murrells Inlet. Please pray for these processes, these are critical moments in the life of these congregations! Speaking of Thad, I just want to take a moment to hold up the amazing work God is doing through him in the area of Soul Care. Thad has just started his 4th year of doing this ministry and averages about 60-70 face to face or Skype-type appointments a month. Thad works with pastors, leaders, seminarians and those in the ordination process. His focus is not what we do, but who we are in Jesus. The conviction is that if we are not healthy in the Lord– body, heart, mind, soul, it impacts every area of our life and ministry. So, Thad provides a safe place for us to go and the Holy Spirit is at work in amazing ways. There is no reason for our leaders to walk alone. Appointments can be scheduled at call2disciple.com…most are video conferencing and there is no cost, because this ministry is funded by All Saints, Pawleys, our diocese and private donors and churches. Can we take a moment and thank Thad for this ministry? Church planting is a core conviction and value for the Diocese of the Carolinas. As we will hear later nearly half of our diocesan budget go back into mission, in the province, but mainly in church planting. This is only possible if our churches are growing in their giving to the diocese. Our church planting arm is Kardia with Winfield Bevins as Canon for Church Planting, John Hall, Seth Cain, Gary Ball and me. We are working together with our church plants, providing coaching and developing new church planting curacies around the diocese. Again leadership development with a very missional edge. We are going to hear more from Winfield later, but let stay in step with the Spirit in this important work of church planting in our diocese! Lastly, I have a piece of business I’d like to offer. We have a simple change which has been proposed to our diocesan canons to bring them into conformity with the provincial canons of ACNA. You should have the proposed changes in your packets to Canon 5 Section 1 and Canon 8, section 4. Very simply it adds the language of an accounting “review” where the canons before only prescribed an audit. Audits are very costly and so we want to provide the option for churches to have reviews. Now the Canon 8, Section 4 already requires the diocese to provide instructions to our churches for the regularity of these audits and reviews. So after we pass this change, our finance committee with propose to the Standing Committee, recommendations for the regularity of audits and reviews based on the size of church budgets. For instance we may say if your budget is over 300,000 we want you to have an audit every 5 years and in the other years to simply have a review, etc. So expect to see that in the next few months. Meanwhile, we also want to clean up the spelling of the word “worshippers” in Title 1, Canon 6, Section 3h…we are Anglicans, not Anglophiles, so we want to spell this the American way! Having said all that, I’d like to make a motion we make the canonical changes as presented as a group. So, that’s it from me. Thank you Bishop Steve, thank you diocese, it’s great to be your Suffragan bishop! 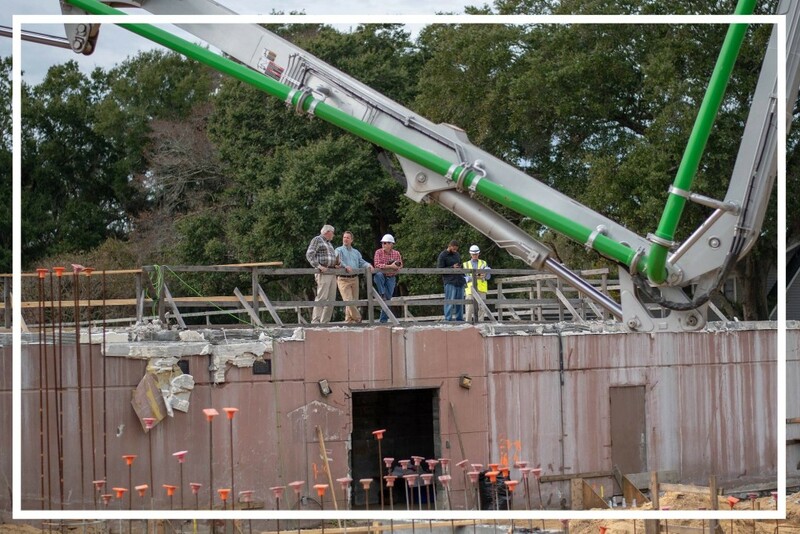 St. Andrew’s forging ahead on their new ministry center. Cathedral Church of the Apostles completed their Ministry Center Expansion this fall. Giving thanks for growth in the Diocese. Healthy things grow!